A picture-perfect landscape increases the value of your property and allows you to maximize your outdoor space. Hire a professional landscape contractor who knows the ins and outs of the craft. Choose Easy Seasons Grassworks LLC in Fort Collins, CO as your residential landscape contractor and get exceptional landscaping services at budget-friendly rates. Specializing in a broad range of landscaping techniques, we work hand-in-hand with a team of architects and horticulturalists to help you achieve your dream landscape. Browse through our website to learn more about the services we offer. 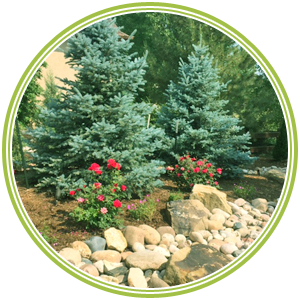 We work with the belief that every landscaping project is unique. This is why we create a personalized plan to aesthetically and functionally maximize each space without going over your budget. Choose our services today and we will turn your yard into a masterpiece. With over 20 years of experience in residential and commercial landscaping, Easy Seasons Grassworks LLC takes pride in transforming boring and barren yards into a lush space where families can bond and enjoy. If you have a landscaping project in mind, don’t hesitate to contact us today for a free estimate.